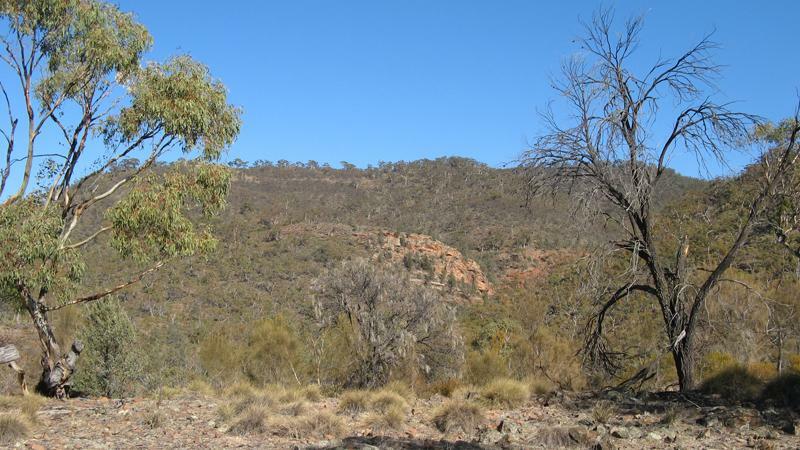 This is a deceptively tough walk with a bit of everything - undulating firetracks with spectacular views, a rocky gorge and a gibber strewn floodplain. 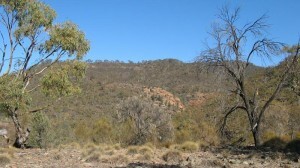 This section of the trail passes the outskirts of Quorn before climbing gradually towards The Dutchmans Stern. 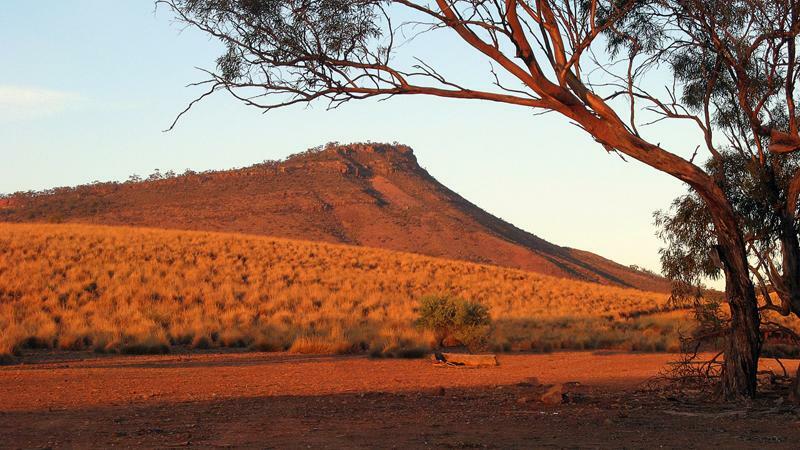 Taking a detour off of the Heysen Trail to walk the 6 km Dutchmans Stern loop will provide a memorable highlight. NOTE - If you wish to walk on only one day, please contact the FOHT office to register for that days walk. The online registering system will only allow you to register for both days. Northern Guidebook, chapter 4 map 1. This list is generic and is derived from the Walk Selector for this walk section. Your walk leader may be suggesting a different or specific town or accommodation option to be based at. These walks are for those wishing to complete the entire Heysen Trail. There are approximately sixty day walks involved, spread over six years. The southern walks, from Cape Jervis to Kapunda, are held on one Sunday per month during the walk season. Due to the greater travelling distances involved, from Kapunda northwards, the walk is held over a weekend. These arrangements make it easy to walk the entire trail because the Friends of Heysen Trail work out many of the logistics. These walks are reasonably demanding and for walkers who have walked regularly in various terrain. They have a walking time of about 5 to 6 hours and will require a high degree of physical fitness. Refer to the End-to-End Walks page for more detailed information. 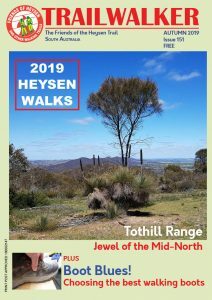 These walks are for those wishing to complete the entire Heysen Trail. There are approximately sixty day walks involved, spread over six years. The southern walks, from Cape Jervis to Kapunda, are held on one Sunday per month during the walk season. Due to the greater travelling distances involved, from Kapunda northwards, the walk is held over a weekend. These arrangements make it easy to walk the entire trail because the Friends of Heysen Trail work out many of the logistics. These walks are reasonably demanding and for walkers who have walked regularly in various terrain. They have a walking time of about 5 to 6 hours and will require a high degree of physical fitness. Refer to the End-to-End Walks page for more detailed information.